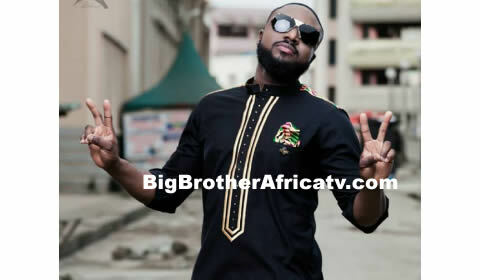 Big Brother Africa 2019 | Season 10 Housemates, News, Contestants, Live Stream, Polls, Nominations: Elikem Kumordzie - "I Am Versatile"
Elikem Kumordzie - "I Am Versatile"
Former Big Brother Africa star as well as fashion designer and actor Elikem Kumordzie has been busy lately moving from one set to the other either shooting a television series or a movie. Elikem Da Tailor, as he is popularly known has been playing his trade as a fashion designer and an actor and handling both very well within his stride. “I have been shooting a series called Table of Men which is produced by Ecow Smith-Asante and directed by Abeiku Acquah. I play the role of an ex-criminal who is now a trainee pastor so you can imagine the transition,” he said. “I am also in another series titled Haunted by Luckie Lawson in which I play the role of a gentleman who meets a lady who is being maltreated by her husband. I get close to her and become her ally. It’s a very interesting series so people should watch out for it,” he said. It’s not been all about series for Elikem who also plays an abusive husband in a short film by Ben Drako titled Pauline’s Diary. “These roles and the ones I have played in the past goes to tell how versatile I am as an actor because they vary. In Table of Men for instance the transition is a mixture of spirituality and crime and I handle both very well so my versatility is not in doubt. Away from acting, Elikem who is married to his fellow Big Brother Africa Zimbabwian housemate Pokello said marriage has been so far so good, “ so far so good, we are still working on the distance because her work is grounded there and mine here so we are trying to see how best to work it out, “ he said. Elikem and Pokello have been blessed with a son, Elikem Pristan Casimban who is almost a year old. Elikem has also starred in movies like Silver Rain, Happy Deathday and Anniversary.